A 50-year old woman was critically injured in yet another South LA hit-and-run Sunday night. She had dropped something from her three-wheeled bike in the 8700 block of South Central Avenue, and was hit when she stopped to pick it up; she was taken to a nearby hospital with multiple injuries. There was no description of the driver or suspect vehicle. It’s not just that the Montana Senate blocked a bill that would have required drivers to give bike riders a three-foot passing distance at speeds up to 35 mph, and five feet above that. Consider this from unabashedly bike-hating Senate President Scott Sales, who says there are already too many cyclists in the state, and he doesn’t want anymore. “They’re some of the rudest people I’ve ever. I hate to say it, but I’m just going to be bold — they’re some of the most self-centered people navigating on highways, or on county roads I’ve ever seen. They won’t move over. You can honk at them; they think they own the highway,” Sales said. Never mind that they have as much right to the road as he does. And unless the law is very different up there, drivers are supposed to pass riders, rather than blare on their horns and expect them to get the hell out of their way. So of course, the obvious solution is to keep the roads dangerous for people on bikes, because that should help reduce the number of riders on the road. Cycling Tips provides a belated wrap-up and photos of the 2017 World Paracycling Championships held in Carson earlier this month, which was completely ignored by both the local and national press; it turns out the US led the standings with 18 medals. Then again, late is better than not at all. A European website says French cycling is up, British down. Cycling Weekly offers five things they learned from Paris – Nice, including some new faces challenging the old guard. A planned four-day bike race intended as a follow-up to the world championships in Richmond VA has been cancelled. The LA Weekly offers photos from Sunday’s Tweed Ride though historic DTLA, which somehow managed to slip under the radar. 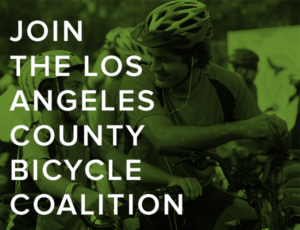 The LACBC is hosting a St. Patrick’s Day Green on the Ground Lunchtime Ride on Friday. The West Hollywood Transportation Commission will consider the city’s proposed Bicycle and Pedestrian Mobility Plan tomorrow night. The San Gabriel Valley Tribune offers a series of photos from the recent 626 Golden Streets. El Monte is the latest SoCal city to adopt Vision Zero, pledging to eliminate all traffic deaths by 2027. The LA Times recommends biking 17-Mile Drive at Pebble Beach past the famed Lone Cypress; drivers have to pay $10 for the privilege, but bikes are free. The San Francisco Fire Department is butting heads with the city’s DOT over protected bike lanes required as part of the city’s Vision Zero plan, complaining they won’t leave enough space to respond quickly to emergencies. Bad news for anyone who reads the print version of Bicycle Times, which has ceased publication; fortunately, it will continue to live online. And it should include a profile of yours truly next month. Which is probably the real reason they dropped the print version. Continuing their emphasis on clickbait, Bicycling offers seven reasons why bicycling is better than running. A Canadian cyclist is returning to the scene of the crime, going back to where his bike was stolen in Philadelphia on his way to Mexico. The Pennsylvania Department of Transportation will have to pay $5.4 million after a bike rider was severely injured on a badly repaired bridge. This is the cost of carelessness, to the victim and the taxpayers. All it takes is a little more effort to do the job right, and no one would get hurt. A Pennsylvania man faces up to 13 years behind bars for fleeing the scene after running down a young girl as she was riding her bike. The driver who ran down North Carolina bike shop owner, Dirt Rag columnist and Mountain Bike Hall of Fame member Jeff Archer as he crossed the street in front of his shop has been sentenced to up to five years behind bars. The parish just west of New Orleans has developed its first-ever Comprehensive Pedestrian and Bicycle Plan for the largely rural area. Which was the very definition of bike-unfriendly when I lived down that way. The editor of Outside Brazil and Bicycling Brazil shares moving photos from her treatment for breast cancer, and says cycling was the force that kept her alive. Saskatoon, Canada gets a petite street sweeper to keep their protected bike lanes clean while lowering their costs. Horrifying story from Australia, where two men in an SUV repeatedly tried to ram a bicyclist and run him into a parked car, just 30 minutes before killing another rider. A Chinese court rules that that a bike shop that sold a banned fixie is responsible for the death of a woman who lost control on a steep downhill and rode off a mountainside; her boyfriend, who owned the bike, was also held liable. No, you can’t just run over bicyclists using a crosswalk. And why teach your kids to ride a bike when you can pay someone a hundred bucks an hour to do it for you? Letter writers to the Daily Breeze respond with the usual windshield bias clichés to the paper’s recent story about the Tuesday’s die-in in Palos Verdes Estates. Especially since all the riders are really asking for is to not get killed when they ride through the peninsula. The vast majority of bicyclists riding PVP roadways are using them for recreation, while conversely, automobile drivers are commuting, attending to errands or business. On weekends especially, the critical major PVP arteries are typically clogged by crowds of hundreds of cyclists, often arrogantly hogging lanes and congesting the roadways. Never mind the obvious contradiction that “less than percent” of road users somehow manage to congest the roadways by the hundreds. 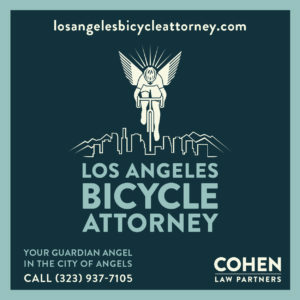 Support SoCal’s leading site for bike news and advocacy. Give to the 2nd Annual BikinginLA Holiday Fund Drive today! Or that the riders are “arrogantly hogging lanes,” since that’s exactly where the DMV says they’re supposed to be. And never mind the ridiculous assertion that everyone in a car has somewhere important to go, while everyone on bikes are just out to have fun and to make life miserable for all those poor, put-upon people in cars, who never, ever drive without some urgent need. He ends by claiming there are “hundreds, if not thousands” of dedicated bike trails where people could ride rather than forcing riders to deal with odious congestion. Maybe someone should tell him that congestion is caused by all those people in cars on the road, who wouldn’t be stuck in traffic if they weren’t busy being traffic. Or that all those thousands of miles of bike trails exist mostly in his overly vivid imagination. Then there’s the following letter, which confirms that a little knowledge is a dangerous thing by citing CVC 21202, which every bike rider should know by heart. Section 21202 of the California Vehicle Code says bicyclists must ride as close to the curb as practicable. That means cyclists riding side-by-side are breaking the law. Which is absolutely true, if you ignore the rest of the statute. Especially subsection (3), which lists the many conditions under which the requirement to ride to the right doesn’t apply. In other words, you don’t have to ride to the right when the right lane is too narrow to safely share with a motor vehicle, while allowing for at least a three foot passing distance, and without having to ride in the gutter and debris that collects on the side of the road. Which is pretty much every street on the Palos Verdes peninsula, let alone the entire County of Los Angeles. A blood drive will be held over the next few weeks for Linda O’Connor, who remains in a coma in critical condition a week after she was struck by an alleged drugged hit-and-run driver while she was riding with a friend in Moorpark. According to the Ventura County Star, 34-year old Jasmine Duran, the driver who ran her down and tried to hide her car after fleeing from the scene, will be arraigned next month on felony counts of hit-and-run and driving under the influence of drugs. Burbank’s Bike Angels lined up 50 bike on the steps of city hall, just part of the 200 refurbished bikes they plan to give away through the Salvation Army and other charitable organizations. A bighearted Rohnert Park businessman gave out 200 bicycles and helmets to kids from struggling families. And in at least one case, slipped a mother a wad of cash to finish her Christmas shopping after both of her sons received new bikes. Members of a Tennessee Baptist church team with the owners of a local funeral home to donate 45 bicycles for students at a nearby elementary school. A Pittsburgh volunteer spends hours every month searching for special needs children who could use an individually customized tricycle, giving away over 1,200 of the $1,800 bikes since 2012. A Louisiana sporting goods store gave 30 bikes to students at a Catholic school. 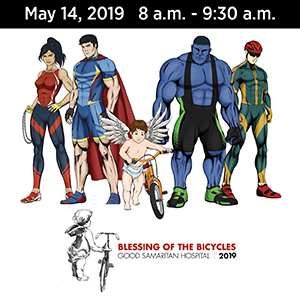 Florida’s Jack the Bike Man plans to give away a whopping 1,200 bicycles to area kids in a single day. Taylor Phinney says cycling needs saving, and he that barely decided to stick with it for next year instead of retiring. The man credited with inventing motor doping claims a January television investigation will reveal technical fraud at the highest levels of pro cycling. Australia’s Mitch Docker has recovered from his horrific crash on the cobbles of Paris-Roubaix that left him with a broken eye socket, his tongue cut in half and six broken teeth. Los Angeles officials unveiled the new and improved Van Nuys Blvd in Pacoima, where one northbound lane was removed to make room for two 0.8-mile bike lanes; only the northbound bike lane is parking protected, while the southbound riders get a small buffer to separate them from motor vehicle traffic. 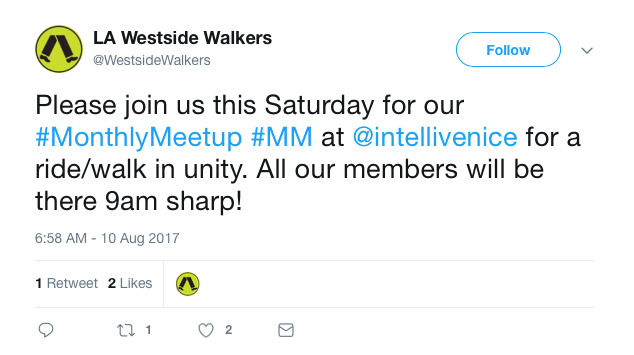 The LACBC reports on Tuesday’s meeting to discuss completing the missing 12.5 miles of the LA River bike path through the San Fernando Valley. Altadena’s newly relocated Open Road Bicycle Shop goes for the wow factor with a repurposed dry cleaner’s carousel filled with bikewear. San Francisco’s experiment with raised bike lanes used four different approaches to protect riders; one with a vertical curb was the least effective in preventing injuries. Wired offers a semi-legal guide to hacking safer streets, based on an actual guide to hacking safer streets. This is the price of unsafe passing, as a truck driver in my hometown gets 90 days behind bars for a failed pass, while his impatience cost a bike rider his life. The Chicago Tribune bizarrely responds to a DePaul University study suggesting an Idaho Stop Law could save lives with an editorial saying too many bike riders have died already, even though none of them were killed going through a stop sign or red light. Chicago Streetsblog smartly dissects the editorial. Trek’s CEO says women who ride love riding just like the guys. A conservative think tank accuses Calgary of retroactively tweaking bike lane numbers to make the goals easier to meet. Britain’s transportation minister could face private prosecution for dooring a bicyclist; in the UK, private citizens can pay to have someone prosecuted if government prosecutors won’t do the job. British cyclist Guy Martin had to give up his attempt to break the record for riding 11,000 miles around the British coast after pulling his Achilles tendon. Over 400,000 Belgians receive a government allowance for riding to work, an increase of 30% since 2011. A program like that could dramatically cut the number of cars on the street here, at a fraction of the cost of other efforts. Manga fans can look forward to the upcoming anime version of Minami Kamakura High School Girls Cycling Club. A Beijing professor says China’s laws need to catch up with the rapidly rising use of ebikes. Why waste money on a skin suit when you can just buy a compression shirt and sick in your gut. Don’t be a jerk at your local bike shop. And nothing like a very fast-paced tour of Tokyo. Give so snark can live. Support the 2nd Annual BikinginLA Holiday Fund Drive today! 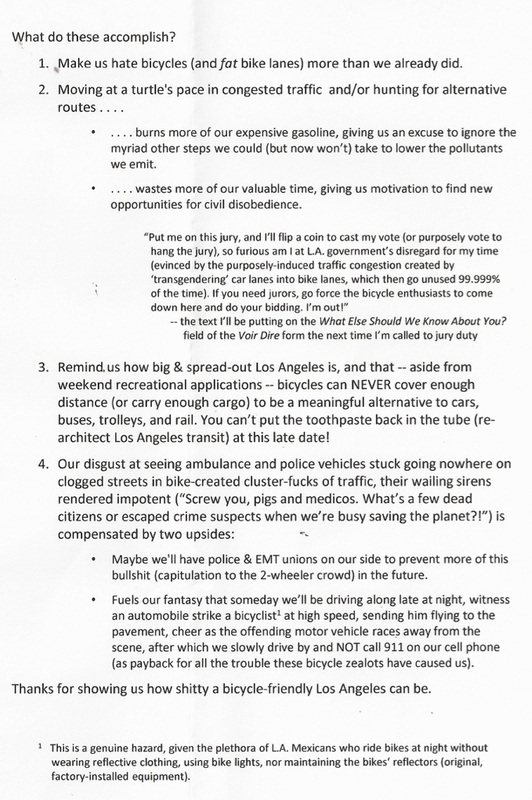 Don’t miss yesterday’s guest post by Delia Park and Kristie Fox about the die-in planned for today in Palos Verdes Estates, calling for Bikes May Use Full Lane signs to be installed in the exclusive, and extremely insular, city. Meanwhile, Cycling in the South Bay points out there’s another vital item on the PVE council agenda to improve safety for kids walking to school. And offers a graphic example of what bikers really want. San Gabriel Valley Rotary Clubs buy 200 bicycles to distribute to children ranging from toddlers to ten year olds. Ninety Tustin 3rd grade kids are surprised with new bicycles courtesy of a San Diego bike non-profit; if watching video of the event doesn’t put a smile on your face, something is seriously wrong. Thanks to Melissa Pamer for the heads-up. Members of a Del Mar high school water polo team refurbished 21 bicycles for needy kids with the help of a local cycling club. A Palm Springs charity gives over 400 bicycles to deserving 4th graders nominated by their teachers. One hundred volunteers with the Simi Valley Rotary assemble 250 bicycles to give to low-income families. Trusties at a Louisiana sheriff’s department spend all year refurbishing bicycles for the department’s Christmas giveaway; in 23 years, they’ve donated over 3,800 bikes to area children. Kindhearted Tampa Bay cops help an eight-year old boy finish a seven-mile fundraising ride just three months after learning to ride a bike; the ride raised money to purchase of bicycles for at-risk and foster kids, to go along with 750 bikes donated by the local NHL team. Bicycling’s Bill Strickland comes up empty handed in life-long search for the legendary Eddy Merckx Alphabet, only to learn it doesn’t exist. So he sits down with Merckx and Peter Flax to write one. A new movie follows an Alaskan woman as she competes against her own father and other cyclists on the Anchorage winter bike racing circuit. A report says a new indoor velodrome could make Pennsylvania’s Lehigh Valley the epicenter of cycling in the United States. The California state cyclocross championship will be held in Bakersfield this coming weekend. CiclaValley proves you can hit the dirt riding ‘cross and still make the podium. The driver wanted for causing the crash that killed a five-year old boy as he was sleeping in his own apartment has turned himself into police; investigators found the boy’s letter to Santa asking for a new bicycle in the debris after the crash. Construction has officially started on the long-delayed MyFigueroa Complete Streets project. Adopting a Vision Zero plan to end traffic deaths in Pasadena by 2027 would require a significant shift in funding priorities. The LACBC talks with Walk Bike Glendale’s Steven Nancarrow about riding in Glendale and this Sunday’s Holiday Bike Ride. A 30-year old Vista bike rider suffered severe head injuries in a collision with a motorist Monday morning; police report the victim was not wearing a helmet. However, there’s no word on how fast the driver was going or whether it might have made a difference. 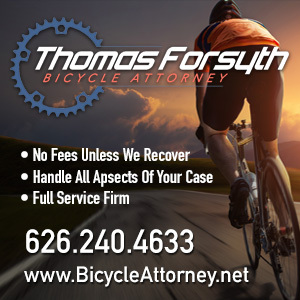 More bad news from Central California, as a 34-year old man was killed when his bike was rear-ended by a suspected drunk and admittedly distracted driver who fled the scene; she was stopped nearby, and faces multiple felony counts including hit-and-run and vehicular manslaughter while intoxicated. Once again, the failure to maintain surface streets proves costly in more ways than one, as Morgan Hill settles with a bike rider who was seriously injured after hitting a pothole. Bay Area bike riders gather for a holiday lights tour in Alameda. The Department of DIY strikes again, as Portland bicyclists use bales of hay to conduct their own road diet to show it would not significantly impact traffic. A Portland man with special needs will get his stolen bike back after a six-year old spots it and leads police to the suspect. A study from DePaul University shows that bicycles are usually the fastest way to travel between two points, and recommends adopting the Idaho Stop Law, including allowing cyclists to proceed through red lights after stopping when there’s no cross traffic. A new 240-foot bike bridge connects two disparate parts of an Ohio town. After getting a slap on the wrist for killing a Michigan bike rider, a convicted drunk driver is back in court asking for his license back so he get a job. Evidently, it’s not possible to walk or ride a bicycle to work in the Great Lake State, so everyone should just trust that he won’t do it again. Right? New Jersey proposes adding questions about bike and pedestrian safety to the state’s driver’s license exam. One of the runners-up for CNN’s hero of the year was Craig Dodson, a former professional cyclist who founded the Richmond Cycling Corps in Richmond VA, which uses bikes as a platform to help at-risk children. An Orlando FL TV station highlights the risks of buying a bicycle in a box from Walmart or Target. Cycling Weekly discusses 14 things that bicyclists can never seem to agree on. In light of the rapidly oncoming holidays, Bike Biz offers a reminder of their remarkably in-depth, 20-part report on counterfeit bikes and parts, to help avoid finding some under your tree or menorah. Toronto bike advocates are fighting a proposal to allow drivers with accessibility permits to temporarily stop in protected bike lanes if they’re loading or unloading someone with mobility issues. A former member of Great Britain’s cycling team says bicycling appeals to obsessive-compulsive high achievers. Of course, it also appeals to people who just enjoy riding a bike, as well. The Dutch Transport Minister proposes prohibiting bicyclists from using their smartphones while riding. The Netherlands improves safety for cyclists by devoting road space to bicycles, while shifting motor vehicles to highways. One in three bike riders in one Australian state admit to distracted riding and bicycling under the influence. An Aussie writer gets it, saying if the sight of a bike rider makes you mad enough to affect your driving, you don’t belong on the road. Another day, another drunk driving on a bike path, this time in Australia’s New South Wales. A Malaysian bicyclist gets more than he bargained for when he stopped to take a selfie and discovered a body. Nothing like taking a flipping flip into the dip. Your next full-suspension mountain bike could have three front forks. Yes, three. And if you’re going to break into a home to steal a gun and a bicycle, don’t leave tracks in the snow leading directly to you when you ride off. Writing and maintaining this site is a full-time job. Your support, and that of our sponsors, enables us to keep bringing the freshest bike news to you every day, from LA and around the world.